Is the king still alive? Does he live somewhere on Maui? I don’t think Elvis ever visited Maui but in the cultural icons of Hawaii, he surely has a place with Blue Hawaii, his two other films set in Hawaii, and the 1973 Aloha From Hawaii concert (on youtube). 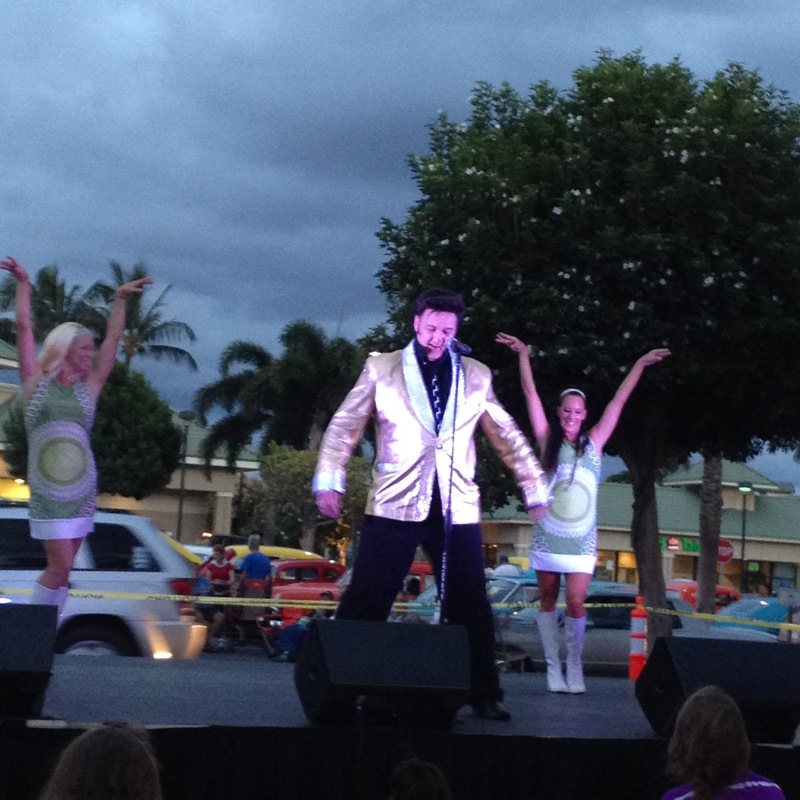 If Elvis lived on Maui, where do you think he’d live? Elvis on Maui? Why not? Would he live in Lahaina or Kapalua near the Old Lahaina Lu’au or some of the big resorts so he could have lots of beautiful hula girls (and tourist girls) nearby? Would he be upscale enough for Wailea? Would he have a mansion near Oprah Winfrey’s ranch? Naaah.. too cold. Or would he live next door to fellow musician Willie Nelson in Sprecklesville, an upscale neighborhood of Pa’ia? very amusing pics of a plastic lizard named Trippy, who travels the world, including tracing the footsteps of Elvis on Oahu. Fantasy: Elvis is the fantasy. If you've been to Hawaii, where do you think Elvis would live? I wasn't expecting this for "E" but it makes sense because Elvis is definitely a Hawaiian Cultural Icon. It took me a minute to connect Elvis to Hawaii. I think that's because I am going to Tennessee in May and have Graceland on my mind. Great post! I've never been to Hawaii, but the thought of all that sunshine is a welcome one. The UK is suffering a perpetual winter at the moment: brrrrr! Mahalo Dan, until doing this research, I didn't realize that Elvis made 3 movies in Hawaii - I only knew of Blue Hawaii. He was definitely a heart throb for a lot of folks! Sounds fun! He's definitely a big icon of Tennessee too. oooh... thinking about it gives me shivers... I have a friend working there somewhere near Manchester. Hmmm, what do you think your Spanish villagers think about Elvis? Another great Hawai'i post! And thanks for getting me in touch with all those Hawaii tweeps! You're welcome. Glad to find out about you! There's a lot of Maui tweeps and bloggers too. I know a few on Oahu too. Maybe he would hide out in Kauai. Or... oooh, get this, maybe he'd sleep all day and spend his nights watching the stars through the telescope of the Keck Observatory! LOL... I'm trying to picture Elvis hippie-ing it out in Kalalau Valley. Maybe he would be more reclusive in his older years.